Difference between revisions of "GLMIPMorton"
of the late M. W. Grand Master, [http://masonicgenealogy.com/MediaWiki/index.php?title=GMJsWarren JOSEPH WARREN], Esq., President of the late Congress of this Colony, and Major General of the Massachusetts Forces, who was slain in the Battle of Bunker Hill, June l7, 1775, By PEREZ MORTON, M. M.
But let us leave the beloved remains, and contemplate for a moment those virtues of the man, the exercise of which have so deservedly endeared him to the honest among the great, and the good among the humble. In the private walks of life, he was a pattern for mankind. The tears of her, to whom ihe world is indebted for so mrich virtue, are silent heralds of his filial piety; while his tender offspring, in lisping out their father's care, proclaim his parental affection: and an Adams can witness with how much zeal he loved, where he had formed the sacred connexion of a friend: their kindred souls were so closely twined that both felt one joy, both one affiction, In conversation, he had the happy talent of addressing his subject both to the understanding and the passions; from the one he forced conviction, frorn the other he stole assent. In the private walks of life, he was a pattern for mankind. The tears of her, to whom ihe world is indebted for so mrich virtue, are silent heralds of his filial piety; while his tender offspring, in lisping out their father's care, proclaim his parental affection: and an Adams can witness with how much zeal he loved, where he had formed the sacred connexion of a friend: their kindred souls were so closely twined that both felt one joy, both one affection, In conversation, he had the happy talent of addressing his subject both to the understanding and the passions; from the one he forced conviction, frorn the other he stole assent. He was blessed with a complacency of disposition, and equanimity of temper, which peculiarly endeared him to his friends; and which, added to the deportment of the gentleman, commanded reverence and esteem even from his enemies. Such was the tender sensibility of his soul, that he need but see distress to feel it, and contribute to its relief. He was deaf to the calls of interest, even in the course of his profession: and wherever he beheld an indigent object, which claimed his healing skili, he administered it, without even tbe hope of any other reward, than that which resulted from the reflection of having so far promoted the happiness of his fellow-men. Such was the tender sensibility of his soul, that he need but see distress to feel it, and contribute to its relief. He was deaf to the calls of interest, even in the course of his profession: and wherever he beheld an indigent object, which claimed his healing skill, he administered it, without even tbe hope of any other reward, than that which resulted from the reflection of having so far promoted the happiness of his fellow-men. In the social departments of life, practising upon the strength of that doctrine, he used so earnestly to inculcate himself that nothing so much conduced to enlighten mankind and advance the great end of society at large, as the frequent interchange of sentiments, in friendly meetings; we find him constantly engaged in this eligible labor; but on none did he place so high a value, as on that most honorable of all detached societies, the free and accepted Masons; into this Fraternity he was early initiated; and after having given repeated proofs of a rapid proficiency in the art, and after having evidenced by his life, the professions of his lips; finally, as the reward of his merit, he was commissioned the most Worshipful Grand Master of all the ancient Masons through North America. And you, Brethren, are living testimonies, with how much honor to Himself, and benefit to the Craft universal, he discharged the duties of his elevated trust; with what sweetened accents he courted your attention, while, with wisdom, strength, and beauty, he instructed his Lodges in the secret arts of Freemasonry; what perfect order and decorum he preserved in the government of them; and in all his conduct, what a bright example he set us, to live within compass, and act upon the square. With what pleasure did he silence the wants of poor and pennyless Brethren; yea, the necessitous everywhere, though ignorant of the mysteries of the Craft, from his benefactions, felt the happy effects of that Institution, which is founded on Faith, Hope, and Charity. And the world may cease to wonder, that he so readily offered up his life on the altar of his country, when they are told, that the main pillar of Masonry is the love of mankind. "With this inscription, ''Masonry'' lies here." He sought not the airy honors of a name, else, many of those publications, which, in the early period of our controversy served to open the minds of the people, had not appeared anonymous. In every time of imminent danger, his fellow-citizens flew to him for advice; like the orator of Athens, he gave it, and dispelled their fears: twice did tbey call him to the rostrum to commemorate the massacre of their Brethren; and from that instance, in persuasive language, he taught them, not only the dangerous tendency, but the actual mischief of stationing a military force in a free city, in the time of peace. They learnt the profitable lesson, and penned it among their grievances. But his abilities were too great, his deliberatione too much wanted, to be confined to the limits of a single city, and at a time when our liberties were most critically in danger from the secret machinations and open assaults of our enemies, this town, to their lasting honor, elected him to take a part in the councils of the State. And with what faithfulness he discharged the important delegation, the neglect of his private concerns, and his unwearied attendance on that betrustment, will sufficiently testify; and the records of that virtuous assembly will remain the testimonials of his accomplishments as a statesman, and his integrity and services as a patriot, through all posterity. But his abilities were too great, his deliberations too much wanted, to be confined to the limits of a single city, and at a time when our liberties were most critically in danger from the secret machinations and open assaults of our enemies, this town, to their lasting honor, elected him to take a part in the councils of the State. 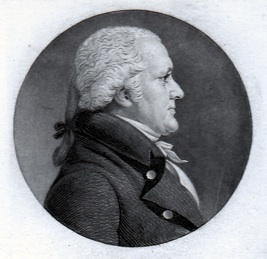 And with what faithfulness he discharged the important delegation, the neglect of his private concerns, and his unwearied attendance on that betrustment, will sufficiently testify; and the records of that virtuous assembly will remain the testimonials of his accomplishments as a statesman, and his integrity and services as a patriot, through all posterity. The Congress of our colony could not observe so much virtue and greatness, without honoring it with the highest mark of their favor; and by the fiee suffrages of that uncorrupted body of freemen, he was soon called 1o preside in the Senate, where, by his daily counsels and exertions, be wae constanily promoting the great cause of general liberty. The Congress of our colony could not observe so much virtue and greatness, without honoring it with the highest mark of their favor; and by the fiee suffrages of that uncorrupted body of freemen, he was soon called 1o preside in the Senate, where, by his daily counsels and exertions, he was constantly promoting the great cause of general liberty. But when he found the tools of opprepsion were obstinately bent on violence: when he found the vengeance of th6 British court must be glutted with blood; he determined that what he could not effect by his eloquence or his pen, he would bring to purpose by his sword. And on the memoraile 19th of Aprii, he appeared in the field, under the united characters of the general, the soldier, and the physician. Here he was seen animating his countrymen to battle, and fighting by their side, and there he was found administering healing comforts to the wounded. And when he had repelled the unprovoked assaults of the enemy, and had driven them back into their strong holds, like the virtuoua chief of Rome, he returned to the Senate, and presided again at the councils of the fathers. But when he found the tools of oppression were obstinately bent on violence: when he found the vengeance of th6 British court must be glutted with blood; he determined that what he could not effect by his eloquence or his pen, he would bring to purpose by his sword. And on the memorable 19th of April, he appeared in the field, under the united characters of the general, the soldier, and the physician. Here he was seen animating his countrymen to battle, and fighting by their side, and there he was found administering healing comforts to the wounded. And when he had repelled the unprovoked assaults of the enemy, and had driven them back into their strong holds, like the virtuous chief of Rome, he returned to the Senate, and presided again at the councils of the fathers. Enriched indeed! and the heights of Charlestown shall be more memorable for thy fall, than the Piains of Abraham are for that of tho hero of Britain. For while he died contending for a single country, you fell in the cause of virtue and mankind. Enriched indeed! and the heights of Charlestown shall be more memorable for thy fall, than the Plains of Abraham are for that of tho hero of Britain. For while he died contending for a single country, you fell in the cause of virtue and mankind. The greatness of his soul shone even in the moment of death; for, if fame speaks true, in his last agonies, he met the insults of his barbarous foe with his wonted magnanimity and with the true spirit of a soldier, frowned at their impotence. And can we, my countrymen, with indifference behold so much valor laid prostrate by the hand of British tyranny! and can we ever grasp that hand in affection again? are we not yet convinced, "that he who hunts the woods for prey, the naked and untutored Indian, is less a savage than the king of Britain!" Have we not proofs wrote in blood, that the corrupted nation, from whence we sprang, (though there rnay be some traces of their ancient virtue left,) are stubbornly fixed on our destruction ! and shall we still court a dependence on such a state? still contend for a connexion with those who have forfeited not only every kindred claim, but every title to humanity! forbid it the spirit of the brave Montgomery! forbid it the spirit of the immortal [http://masonicgenealogy.com/MediaWiki/index.php?title=GMJsWarren Warren]! forbid it the spirits of all our valiant countrymen! who fought, bled and died for far different purposes: and who would have thought the purchase dear indeed, to have paid their lives for the paltry boon of displacing one set of villains in power, to make way for another. No. They contended for the establishment of peace, liberty, and safety to their country; and we are unworthy to be called their countrymen, if we stop at any acquisition short of this. Are forg'd by hands, from which you hop'd for freedom. Delivered at the King's Chapel, in Boston, April 18, 1776, on the Reinterment of the Remains of the late M. W. Grand Master, JOSEPH WARREN, Esq., President of the late Congress of this Colony, and Major General of the Massachusetts Forces, who was slain in the Battle of Bunker Hill, June l7, 1775, By PEREZ MORTON, M. M.
Illustrious Relics! - What tidings from the grave? Why hast thou left the peaceful mansions of the tomb to visit again this troubled earth? Art thou the welcome messenger of peace! art thou risen again to exhibit thy glorious wounds, and through them proclaim salvation to thy country! or art thou come to demand that last debt of humanity, to which your rank and merit have so justly entitled you, but which has been so long ungenerously withheld! and art thou angry at the barbarous usage? Be appeased, sweet ghost! for though thy body has long laid undistinguished among the vulgar dead, scarce privileged with earth enough to hide it from the birds of prey; though not a kindred tear was dropt, though not a friendly sigh was uttered o'er thy grave; and though the execration of an impious foe, were all thy funeral knells; yet, matchless patriot! thy memory has been embalmed in the affections of thy grateful countrymen who, in their breasts, have raised eternal monuments to thy bravery! "With this inscription, Masonry lies here." In public life, the sole object of his ambition was, to acquire the conscience of virtuous enterprises; amor patria was the spring of his actions, and mens conscia recti was his guide. And on this security he was, on every occasion, ready to sacrifice his health, his interest, and his ease, to the sacred calls of his country. When the liberties of America were attacked, he appeared an early champion in the contest; and though his knowledge and abilities would have insured riches and preferment, (could he have stooped to prostitution) yet he nobly withstood the fascinating charm, tossed Fortune back her plume, and pursued the inflexible purpose of his soul, in guiltless competence. But Warren's manes must enrich the grave." In fine, to complete the great character, like Harrington he wrote; like Cicero he spoke; like Hampden he lived, and like Wolfe he died. And can we, my countrymen, with indifference behold so much valor laid prostrate by the hand of British tyranny! and can we ever grasp that hand in affection again? are we not yet convinced, "that he who hunts the woods for prey, the naked and untutored Indian, is less a savage than the king of Britain!" Have we not proofs wrote in blood, that the corrupted nation, from whence we sprang, (though there rnay be some traces of their ancient virtue left,) are stubbornly fixed on our destruction ! and shall we still court a dependence on such a state? still contend for a connexion with those who have forfeited not only every kindred claim, but every title to humanity! forbid it the spirit of the brave Montgomery! forbid it the spirit of the immortal Warren! forbid it the spirits of all our valiant countrymen! who fought, bled and died for far different purposes: and who would have thought the purchase dear indeed, to have paid their lives for the paltry boon of displacing one set of villains in power, to make way for another. No. They contended for the establishment of peace, liberty, and safety to their country; and we are unworthy to be called their countrymen, if we stop at any acquisition short of this. Yes, we ought, and will; we will assert the blood of our murdered hero, against thy hostile oppression, O shameiess Britain! and when "thy clond vspy towers, thy gorgeous palaces," shall, by the teeth of pride and folly, be levelled with the dust; and when thy glory shall have faded like the western sun-beam, the name and the virtues of Warren shell remain immortal. This page was last modified on 16 January 2019, at 10:58.